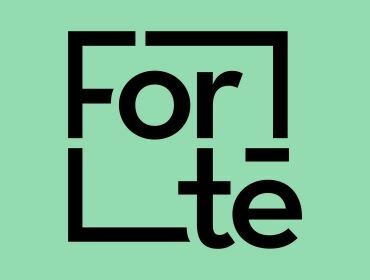 Introducing The Forte Project, theexciting new music development scheme hoping to uncover and support the nextbright young things in music emerging from South Wales. Brought to you by the minds behind theYoung Promoters Network, this new project, in co-ordination with SONIG YouthMusic, Arts Connect and Arts Council of Wales; the Forte Project aims to taketen emerging artists from regions which span across the areas of Rhondda CynonTaff, Caerphilly, Merthyr Tydfil, Bridgend and the Vale of Glamorgan,collectively known as Arts Connect. Theten chosen artists will work alongside assigned industry mentors who willsupport the artist on their journey at a critical point in their musicalcareer. The project is centred aroundkey creative and career development support areas which will further improvetheir chances of achieving successful, long-term professional careers. Theartists will gain experience from song-writing workshops, industry relatedseminars, signposted opportunities, rehearsal space, recording sessions,bespoke audience development support and a range of unique live opportunitiesthroughout the year. 1. Speciallyselected industry mentors to help guide and support them across the duration ofthe Forte Project. 2. Uniquelive opportunities through the Young Promoters Network, Orchard Entertainment,Wales’s largest independent promoter and other reputable festivals such as SwnFestival and Focus Wales. Whilst also getting helping apply for other festivalsacross the UK. 3. Access to key networking opportunitieswith industry professionals providing them with sound advice relating to keyareas of their development. 4. Increased artist profile through highprofile live performances, audience development & marketing strategies. 5. Recording opportunities to explore newmaterial with professional studio facilities and technicians. 6. Valuable experience working withtechnicians in rehearsal spaces to master their performance techniques andapproach to live set-up. To be eligible for this opportunity,artists must be aged 16-25, must reside in one of the ArtsConnect Regions(Merthyr, RCT, Caerphilly, Vale of Glamorgan and Bridgend) and have a realpassion and enthusiasm to further their music potential. If in a band, then themajority of members must be living within the stipulated local authorities andbe between the required ages in order to be eligible. 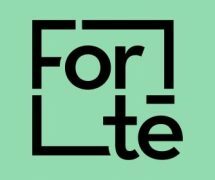 The application form will be availablethrough the Forte Project website (www.forteproject.co.uk) and applicationswill be open from 21st September.